[5 mins. 17 secs.] 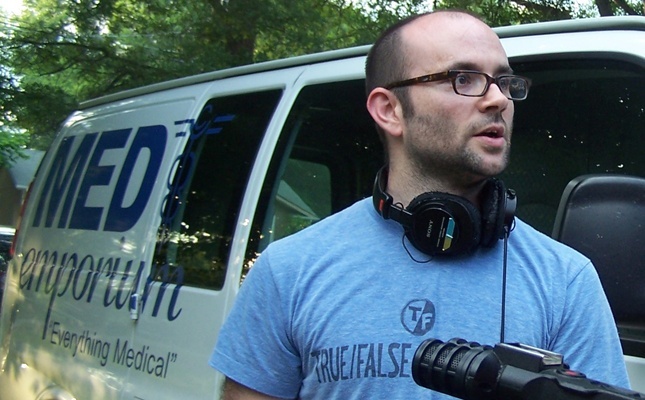 Filmmaker Robert Greene ("Kati With An I", "Fake It So Real") returns to the podcast after a something of a hiatus. Robert is back with a new documentary that is serving as the closing night film for the Film Society of Lincoln Center's series The Art of the Real. The film is called "Actress" and it follows the filmmaker's friend and neighbor, Brandy Burre, who had a recurring role on HBO’s The Wire when she gave up her career to start a family. When she decides to reclaim her life as an actor, the domestic world she’s carefully created crumbles around her. The screening for the New York premiere is on Saturday, April 26th, 8PM but is currently sold-out, though you go on stand-by. The film will have a theatrical engagement soon so stayed tuned to the podcast for more details.